- First of all decide for which kind of party you are making a choice, whether it is a formal party or a casual party or anything else. This will help you to take a right decision. - Once party type is decided then according to party theme you can choose a dress style, which will reflect your personality in best possible way. As everyone has a different body shape and height, it is better that you choose a dressing style that can suitable for your body shape and can enhance your features. - A good color selection is also important for a right type of dress. You should choose the color wisely so that it suits your complexion in best possible way. - Your comfort is another important thing when you are trying to choose a right kind of dress. The one that makes you feel most comfortable is the right kind. Actual beauty of the dress can only be shown when you are feeling comfortable with it. Besides, the season is also a point to be considered. Such as a full sleeve or velvet dress will not feel more comfortable in summer. Some other things like neckline of the dress, straps, and length are also important things to keep in mind. 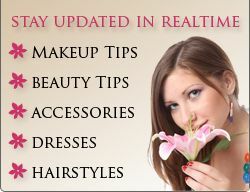 After selecting a perfect dress your accessories will play an essential role in your all over look. Therefore you should never forget to wear suitable accessories with your party dresses.